Anyone who's heard the Sara Bareilles album, What's Inside: Songs from 'Waitress' are anticipating the new musical based on the hit indie film as much as anything else on Broadway's horizon. 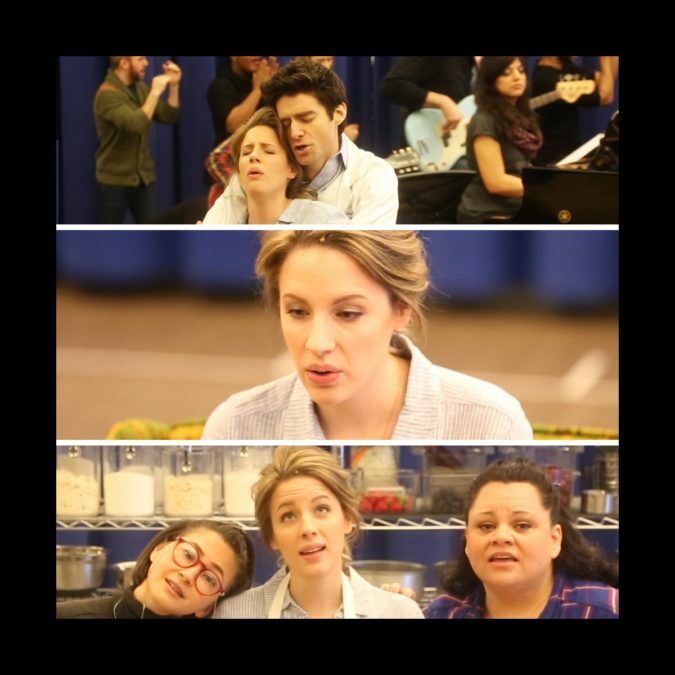 Featuring a homespun story of a amateur pie maker stuck in a crappy marriage and her friends, the musical is led by Tony Award winning director Diane Paulus, stars Tony winner Jessie Mueller and features the sure-to-be loved stage songwriting debut of pop star Bareilles. At a press event on March 3, the cast previewed some of the show's tunes. Enjoy!! Jessie Mueller as Jenna, Keala Settle as Becky and Kimiko Glenn sing "Soft Place to Land." Ogie (Christopher Fitzgerald) professes his love to Dawn (Glenn) with "I Love You Like a Table." Mueller sings the breakout hit song "She Used to Be Mine." Jenna hooks up with her gynecologist Dr. Pomatter (Drew Gehling) in "Bad Idea."